Yes! We are open on Sundays! *** We will be closed for some renovations Wednesday, April 3 and will re-open Friday, April 5 at 2. Sorry for any inconvenience. 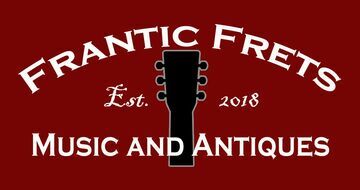 Home of gently used musical instruments and more! Holiday hours vary, so please call ahead. We are happy to schedule other times to meet you, just give us a call and we can arrange custom hours by appointment. Friendly service in a welcoming atmosphere. You are not just a customer, you are a guest! Come in and trade stories, or have a quick jam. New items arriving weekly. Consignments based on available space. We will try to stick to our published schedule, please feel free to call ahead to confirm we are here, or to schedule an evening lesson or repair drop off.